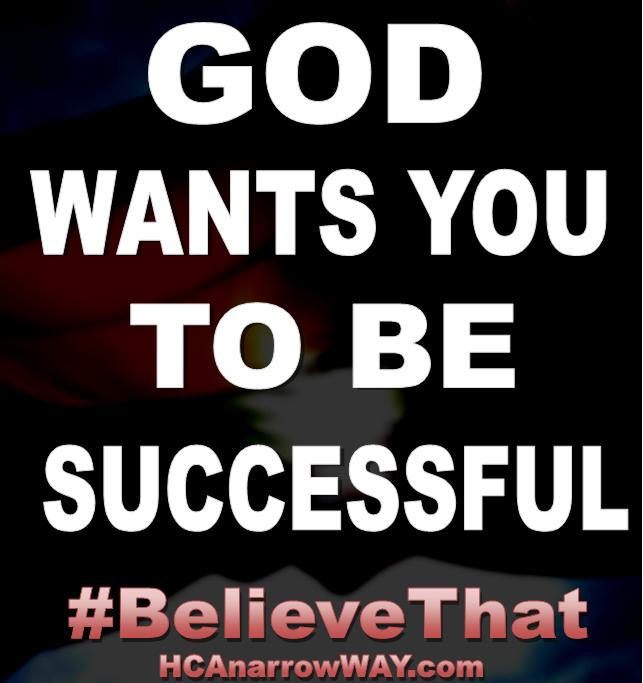 God wants you to be successful. Believe that. Have you ever been so busy that your focus gets away from God? Well I have. When this happens our worldview gets distorted. Everything else becomes bigger than The Lord. Our problems, our desires, our wants, and our needs all take precedence over Jesus. We focus too much on what we cannot handle alone; life. We get run down and sometimes questions God's motives. But the Word tells us that God have us His Son. If He gave His Son up for you, then what will He keep from you? God has given us eternal life and there is nothing that He will keep from us. He has already given us the greatest gift. He wants us to do well, but on His terms. He wants us to prosper, but His way. He wants you to do well, but He must make you ready! Let Him do it.